As you can see from the rest of my blog for some odd reason I have spent a considerable time exploring different cloud storage options. The main reason is each have their own benefits, some are better for data syncing others for collaboration and others for simply sharing large files. Anyway here is a quick summary of five options I have tried out to some extent recent and that are worthy of exploring, they are in no particular order. Wuala is cloud storage with a difference as it has inbuilt data encryption so in theory those charming people in the UK and USA who love reading your data cannot. Their encryption is not just at the point of uploading (like Box and Dropbox) but they claim that not even they can see the contents of your files (much like Mega). They offer clients for most platforms and 5GB of free space plus the ability to sync any folder, not just the selected one as is the case with Dropbox. As has been pointed out to me Wuala do not make their source code public so there is a risk of a backdoor in their application which lets them or others read your data. In general upload and download speeds are comparable to Dropbox. Unlike many other cloud solutions this one is based in the EU and Switzerland and is operated by HD manufacturer Lacie. Simple version control of files is also available. The simple and easy option to syncing files which operates across most platforms. You get 2GB space free plus extra for each referral. 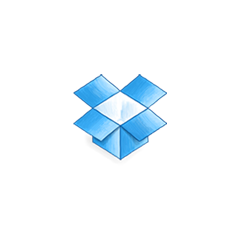 In my experience Dropbox is the most widely used syncing platform and is generally reliable. Just don’t go editing documents at the same time as someone else or you end up with a clash! Upload file size is unlimited and sharing files and folders between people is quick and simple. It offers simple version control. It is one of the faster sync services. I use Dropbox everyday and so far so good although there are occasional syncing issues. You can sign up to Dropbox here and donate some free MBs to me. Almost identical to Dropbox but… far more powerful on account of the range of applications available that you can work with. Box is really aimed at business users, although there is a free personal account which comes with 5GB of space. Clients are available for most major platforms and syncing works well. It is more expensive than Dropbox and speed wise the free accounts in my experience are slower. Provides 15GB of free storage for anything from Gmail to pictures and non-Google Docs files. It comes with a nice suite of basic office apps and integrates well with a range of third party apps (many of which are free). There are competitive pricing options if you require more space but as with all Google personal services they scan and use your data to sell you adverts. In general I like this service it works well, replaces the need for expensive office apps and is quite fast – although not as much as Dropbox. Not a syncing solution like the others but a remote space to store files and share them. They used to offer Google Docs like apps but no more sadly. Little can be said about this except that it is good for exchanging files where people do not want to sync as there is no need for them to use a third party client. Also there are useful features such as letting other people upload to your folder and sending one time and password protected files. Upload speeds from the EU have improved to about 1.5mbps, download is about 3-4mbps. Upload speeds in many EC countries though remain far below that of other cloud solutions; making it unsuitable for really large files. Clients are available for most major platforms. Note that free accounts are not intended for long term storage but paid for ones allow this feature and are quite competitively priced. Bonus space is given under both free and paid plans if you sign up others. You are welcome to sign up to Mediafire here and give me 1GB in the process. I think we have to assume there is no such thing! Is the tech cloud about to rain? This entry was posted in Cloud Computing, Reviews and tagged box, dropbox, google drive, mediafire, wuala. Bookmark the permalink.